Community is at the heart of everything we do at Tableau Conference. From meetups and user groups to MakeoverMonday, Data + Women, and connecting with Tableau Ambassadors and Tableau Zen Masters, this is your opportunity to get inspired and learn how to get involved. There is so much to do at Tableau Conference, and engaging with this amazing community should be at the top of your list. Below are a few ways to ensure you’ll get the most of your conference community experience. The Community Center in Data Village will be the hub for all things community. 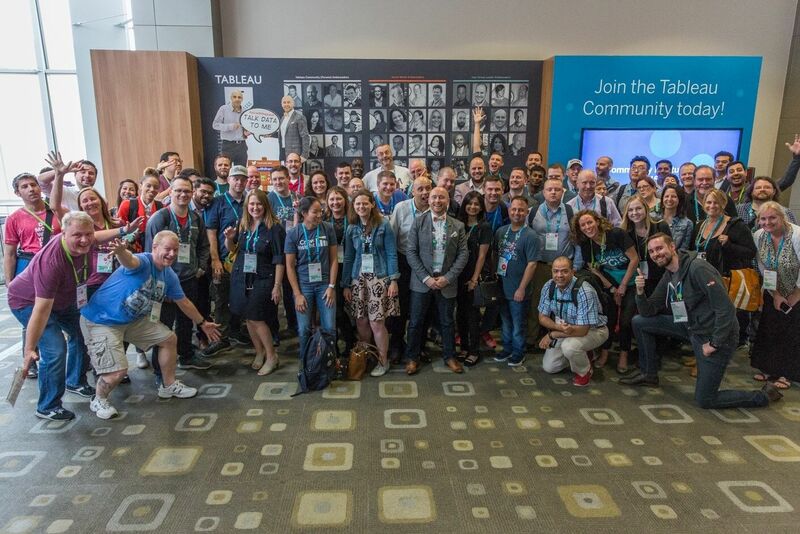 Stop by for the opportunity to get connected with Tableau Zen Masters and Tableau Ambassadors, sign up for your local user group or the online forums, learn what the Tableau Foundation has been up to, and most importantly, show off your ping pong skills. We love being able to support the Data + Women community all year long, but this is your chance to connect with some of these data rock stars from all around the globe in person. Join us on Monday, October 9 from 4 – 5pm for the Data + Women breakout session, or stop by one of the designated tables during lunch on Tuesday and Wednesday. The Tableau Ambassadors & Tableau Zen Masters showcase some of the very best the Tableau community has to offer – from sharing insights with others to building first-class vizzes, these community builders embody all things Tableau. Every one of them brings something special to the table and we encourage you to introduce yourself! Stop by the Tableau Community meetup in the Community Center on Tuesday from 3 – 4 p.m for a casual opportunity to get connected. Not only will Tableau Zen Masters be available at Tableau Doctor, but there are also 12 sessions being delivered by Tableau Zen Masters at TC17. From beginner tricks for better dashboards to the most advanced ways to hack tableau server, you’ll learn from some of the best presenters at the conference. #MakeoverMonday is the biggest community data viz project in the world and it’s your chance to develop your data skills. Bring your laptop along and join in the session, which will be led by long-time Zen Master Andy Kreibel and his partner in crime, Eva Murray. This is your opportunity to connect with some of the smartest people we know. And we promise you’ll be welcomed with open arms! Tableau User Groups are customer led events that meet both virtually and in-person all year round, and we love having the opportunity to bring such a large part of our community together at Tableau Conference. For the first time ever, we will be bringing the user group community together for a Tableau User Group meeting hosted by Tableau Ambassadors, showcasing tips and tricks from rock stars in the Tableau community. There will also be six industry-specific user groups to learn about, so be sure to check out the full schedule here. And if you’re still contemplating getting your Tableau Conference tickets, here are 10 reasons to join us this year. We can’t wait to meet you! But if you aren’t able to join us at TC17 don’t worry, a variety of sessions will be available via Tableau Conference Live and there will be lots of opportunities to connect with us on social.